Eastern Oregon Film Festival is proud to announce its Official Selections for the 2017 Festival. Spread across five venues (including a 48hr. online program at Filmmaker Magazine), EOFF will run October 19-21, 2017 in La Grande, OR. The festival will open and close with fiction and nonfiction offerings that explore possibilities of the near-future. Opening night will feature Pete Ohs and Andrea Sisson’s gorgeous desert fable, Everything Beautiful Is Far Away, and the festival will close with Mila Aung-Thwin and Van Royko’s essential documentary about nuclear fusion, Let There Be Light. 80 minutes of shorts created by the strange, beautiful, hilarious masterminds of Miami’s Borscht Corp.
On Josh and Greg’s first date, they quickly realize that the generational divide between them is the least of their worries. Death in a Day tells the story of Evan, a young Chinese boy who, after visiting his comatose father in the hospital, witnesses his mother’s struggle and must come to grips with the impending death falling upon their family. Outcast from her cousin’s party, 10-year-old Mae creates Frolic from ink and cardboard, then Frolic creates mayhem. A bio-hacker seeks to cure himself by swapping his microbiome with a donor’s, a controversial and dangerous technique. A six part series about a lesbian nun and her Jewish stalker. A study of light across time and space, created entirely with infrared converted cameras. Bree, a dishonest 9yo receives a terrifying visitor after a parenting lesson goes horribly wrong. On the edge of adolescence, Dexter visits his sister for the first time in years and together they explore the big city, trying to understand how to relate to one another again. At the end of 2016, over 6000 drug suspects were killed in the Philippine War on Drugs. In this modern-day “sweet spaghetti” western, an ambitious young journalist attempts to score an interview with the ruthless leader of a violent vigilante group over an increasingly high-stakes drinking game. In the near future, a cataclysmic event changes everything. Women are dying rapidly due to a biological attack, causing the government to suspend habeas corpus. Seeking refuge from the law, teen poet Stella tells of the mysterious disappearance of her high school lover Sebastian and the strange deed she was compelled to perform. A compilation of shorts curated by the Northwest Film Center. A naked body moves a stranger to empathy. PARTHENON is a slippery, dizzying provocation on art, control, and perception. A documentary about a person’s childhood fear of ventriloquist dummies and dolls due to the uncanny valley. With their families in Romania depending on them, three men try to survive by creating sand sculptures on London’s streets. Crystal robs a liquor store—it goes pretty OK.
A branding intern loses the life he once had after an encounter with a mysterious blonde and her whiskey bottle… but gains something very special in return. A road trip across the United States documenting those who attempt to manifest utopia and all of its mythology. Crashed planes, lost nuclear bombs, and an Air Force cover-up: a filmmaker unpacks the secret history of how his grandfather nearly blew-up the eastern seaboard. A journey into the hallucination of cinema. Centuries ago, a desperate battle left a village wasted, a new bride dead, and two mortal enemies dependent on each other for survival. Frank & Zed is gore-filled puppet horror at its best. An intimate glimpse inside an embattled urban police department struggling to rebuild trust in one of America’s most violent yet promising cities. In the south of France, scientists from 37 countries are building the most complex machine ever attempted: an artificial sun. If they get it right, it will illuminate the way to produce clean, cheap, abundant energy for millions of years. The strange story of David Huggins, a 72yo Hoboken man who claims to have had a lifetime of encounters with otherworldly beings—including an interspecies romance with an extraterrestrial woman (with whom he lost his virginity), chronicling it all in surreal impressionist paintings. A documentary about two young “roofers” who, without safety harnesses, climb the tallest buildings and deepest abysses in conflict-ridden post-Soviet Russia and Ukraine. Against the backdrop of post-industrial logging towns are four extraordinary transgender women who, having lived in the closet their whole lives, make the decision to transition in their middle and senior years. A kaleidoscopic documentary that uses the rat to explore the history of Baltimore and expose human boundaries of separation. 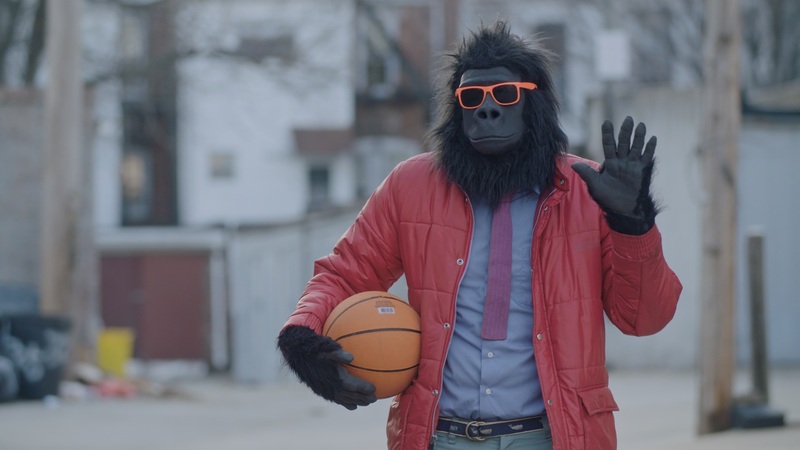 It’s the story of a small town gorilla, Sylvio, who is stuck in his job at a debt collection agency. Deep down he just wants to express himself with his hand puppet, Herbert Herpels. A comedy about two estranged sisters brought back into each other’s lives by the impending death of their grandmother. Portland-based author Jonathan Raymond’s first novel brought his work to the attention of Kelly Reichardt and together they made four movies, including MEEK’S CUTOFF and NIGHT MOVES. Join Raymond to discuss how a story becomes a movie in this insightful conversation and screenplay workshop. Portland director Andy Mingo will shed light on bringing Chuck Palahniuk’s “Lullaby” to life, and similarly author Lidia Yuknavitch will discuss her award-winning novel, “The Book of Joan.” Both artists will explore media around their projects and discuss the creative process of adapting literature for the silver screen.